Blog Eight-Week Battle Rope Training Basketball Shooting Accuracy, Will it Improve Swimming Stroke Biomechanics? 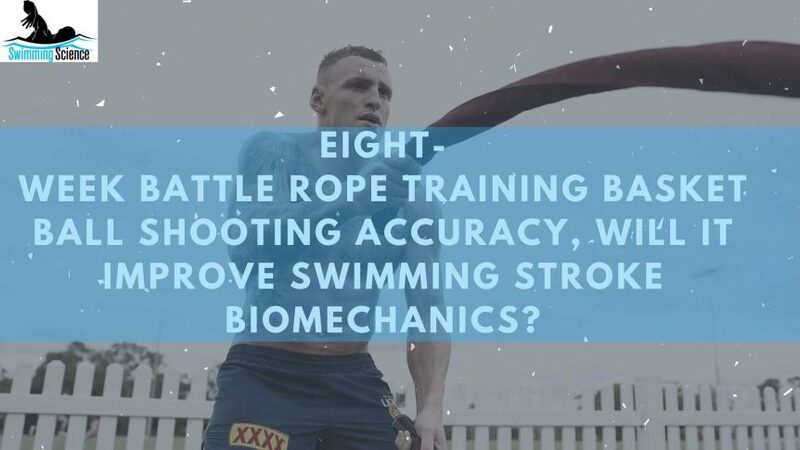 Eight-Week Battle Rope Training Basketball Shooting Accuracy, Will it Improve Swimming Stroke Biomechanics? Previous studies have shown that shooting accuracy is a crucial factor distinguishing between winning and losing basketball teams. Battle rope (BR) interval training is a low-impact, total-body, and intense metabolic modality. Thirty male well-trained Division-I basketball players (age range: 18–25 years; basketball training: 6.7 ± 3.8 years) who had not sustained neuromuscular injury in the prior 6 months participated in this study. 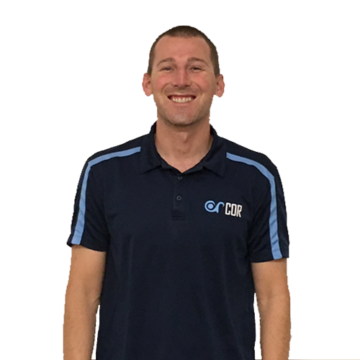 They routinely engaged in 3-hour basketball training sessions 3 times per week and in 1.5-hour resistance training sessions 2 times per week. Each resistance training session consisted of 4 sets of 6 exercises involving the upper limbs, trunk, and lower limb muscles using a load of 6–10 repetition maximum. All subjects were recruited from the same university and had no BR training experience before the study. Each subject was randomly assigned either to the BR group (mean ± SD, n = 15; age: 21.1 ± 1.7 years; height: 179.6 ± 9.6 cm; body mass: 79.2 ± 14.2 kg) or to the shuttle run group (n = 15; age: 20.6 ± 1.8 years; height: 183.6 ± 9.0 cm; body mass: 82.4 ± 14.7 kg). Thus, an identical training program and the same work flow were applied to all subjects. This experiment was conducted during the off-season to prevent the other factors (e.g., training, injury, competition) from contributing to training effects. Battle rope training commonly uses ropes of 12–15 m in length, 3–5 cm in diameter, and 9–16 kg in mass, and set durations usually range from 15 to 30 seconds, with rest intervals of 15 seconds to 2 minutes. In this study, the BRs used had a length of 15 m, diameter of 4 cm, and mass of 18 kg. Battle rope training involved 8 weeks of interval training for 3 sessions per week. The protocol for the 1st week and the second week consisted of 30 minutes of exercise at a work-to-rest ratio of 1:3 (15-second exercise; 45-second rest), totaling 30 sets; the protocol from the third week to the fifth week consisted of 30 minutes of exercise at a work-to-rest ratio of 1:2 (20-second exercise; 40-second rest), totaling 30 sets; the protocol from the sixth to the eighth week consisted of 36 minutes of exercise at a work-to-rest ratio of 1:2 (20-second exercise; 40-second rest), totaling 36 sets. Battle rope training consisted of 6 BR exercises, with one type exercise performed in each set. The 6 BR exercises were performed in a circuit format: double-arm waves, side-to-side waves, alternating waves, in-out waves, hip toss, and double-arm slams. The 6 exercise circuit was completed 5 times for the first week to the fifth week, and 6 times from the sixth to the eighth week. The shuttle run (SR) group received 8 weeks of SR interval training for 3 sessions per week; the protocol consisted of the same numbers of sets, exercise intervals, and rest intervals as those of BR training protocol. 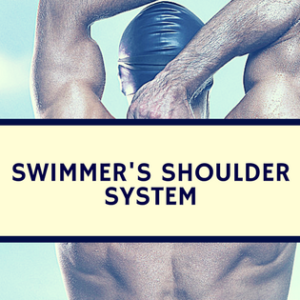 The difference between the BR and SR training protocols was that in SR training, each subject ran a 15-m distance with a 180° change in direction at an individual speed, which was 75–85% of the subject’s maximum speed, according to the number of laps reached. The Progressive Aerobic Cardiovascular Endurance Run (PACER) test was used to measure aerobic capacity. The 30-second Wingate anaerobic test was used to measure anaerobic performance. The basketball chest pass technique was chosen in this study because it is the most convenient assessment of players’ upper-body power during practice sessions. Subjects performed counter movement jumps (CMJs) on a force plate (Kistler 9260AA; Kistler Instrument Corp., Winterthur, Switzerland) at a sampling rate of 1,000 Hz. Subjects completed 3 trials in total. The T-test was used to measure agility in this study because it uses most of the basic movements performed during a game. Following the protocols established by Waldhelm and Li, core endurance tests were performed. The stationary free throw shooting test was a modification of a previous protocol. A dynamic shooting test was chosen in this study because it is a more favorable determinant of shooting accuracy during the season than a stationary test is. No significant differences were observed in the dependent variables at baseline between the groups. Compared with the SR group, the BR group exhibited superior pre–post improvements in the fatigue index in the upper-body anaerobic power test (ES = -0.97) and dynamic shooting accuracy. The primary finding of this study is that BR training significantly enhanced multiple physical fitness dimensions, namely aerobic capacity, upper-body anaerobic power, upper-body power, lower-body power, and core endurance, and shooting accuracy, whereas regular training (SR training) only enhanced aerobic capacity and upper-body power. This result shows that BR training can effectively train total-body muscle and can increase cardiopulmonary function, thereby simultaneously improving multiple physical fitness dimensions and shooting accuracy in collegiate basketball players. 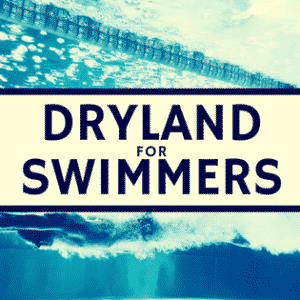 BR training may be a dryland modality which improves swimming performance, by reducing UE fatigue and improving accuracy of stroking. 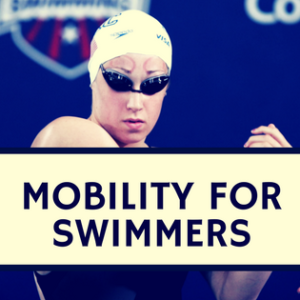 However, a swimming study should compare one group performing additional BR training compared to either more in water technical training or more high-intensity training. Chen WH, Wu HJ, Lo SL, Chen H, Yang WW, Huang CF, Liu C. Eight-Week Battle Rope Training Improves Multiple Physical Fitness Dimensions and Shooting Accuracy in Collegiate Basketball Players. J Strength Cond Res. 2018 Oct;32(10):2715-2724. doi: 10.1519/JSC.0000000000002601.